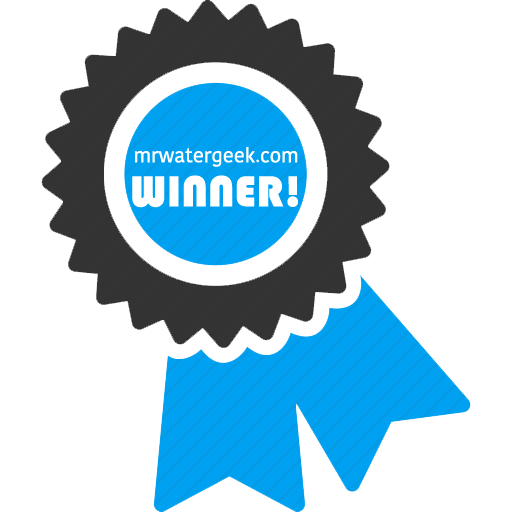 This AquaRain review will discuss AquaRain as a water solution because there are many people deciding not to drink municipal water. 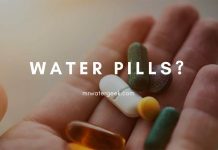 People are motivated to do this because there are lots of new reports showing that locally supplied tap water is full of all sorts of things. This includes everything from chlorine, drugs, heavy metals, pesticides. Sometimes this can be due to pipe failure, flooding or even contamination. Water contamination can be deadly because of organisms like bacteria, E. coli, giardia, cryptospordium and others. Some of these pollutants that routinely appear in public water can cause serious illnesses and even death. 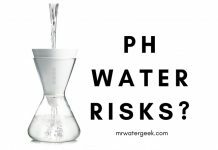 One way to avoid all of these is to use a water filter system like AquaRain. The AquaRain Model 400, for example, is a two-stage gravity water filter. This consists of an upper and lower chamber, lid and 4 ceramic filters. 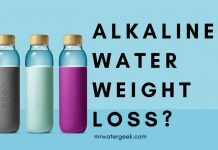 This article will review AquaRain and see if all the claims add up. 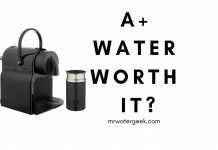 By the end of this review you will be able to decide if this water filter system is worth it. 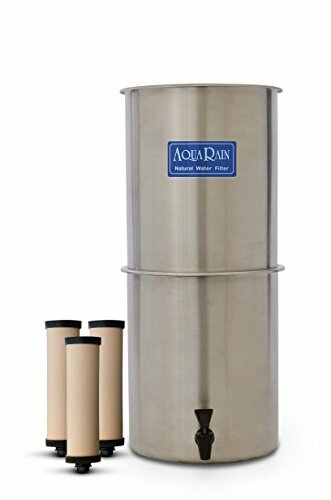 How does the Gravity Filter AquaRain 303 work? 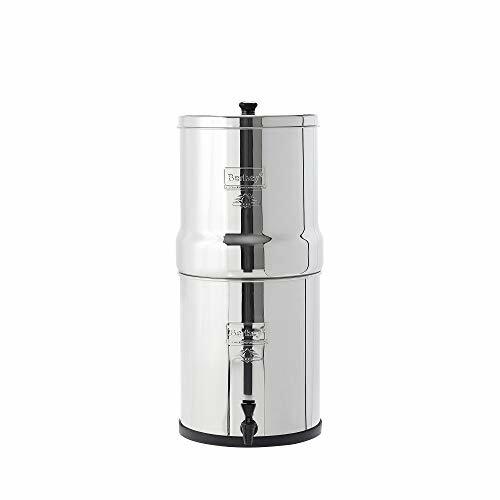 The Aquarain 303 is a water filter system made from polished stainless steel. They work as gravity filters i.e. they work by water going to the bottom of the filter because of gravity. The stainless steel material has hygienic properties which helps inhibit bacterial growth. 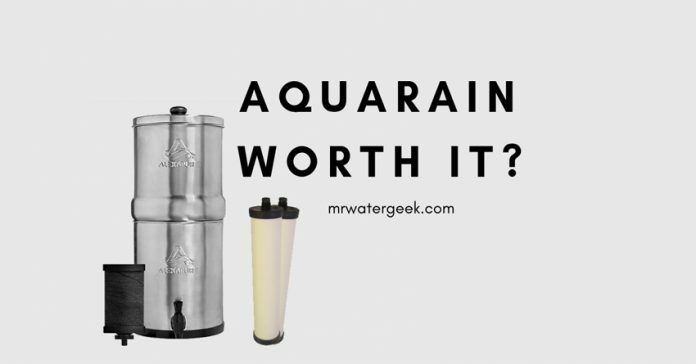 The AquaRain 303 removes contaminants through its patented ceramic filter. This 303 Aquarain model works through 2 tanks arranged one above the other. To use, you simply have to fill up the upper tank with water. That’s it. Gravity pulls the water down through the cartridges. Once the filters have done their work, you simply need to dispense your fresh clean water. Great for emergency situations and emergency preparedness. This is because the Aqua Rain 303 can filter water from most untreated sources without using electricity. High quality ceramic filters. The patented filter technology is unique in terms of quality, service life and filter performance. 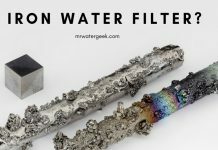 Each filter can last for years and are manufactured in a computer-controlled oven that is individually tested. Safe clean and healthy drinking water while the filters last. This is an environmentally friendly device in the sense that it does not use electricity. 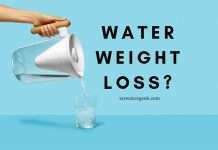 Better tasting water. This is because the filters don’t just remove contaminants but also eliminate bad taste and weird smells. Filter replacement indicator. 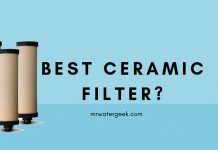 Aqua Rain is the only gravity-fed water filter that tells you the ceramic filters need replacing. Made in the USA. This is great for people that want to support US manufacturing and jobs. 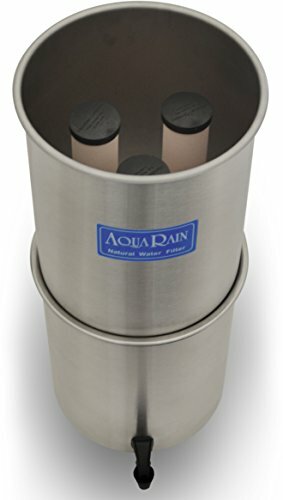 Especially as each and every part of the Aqua Rain including the ceramic filters, water spout and stainless steel covers are made in the USA. It can filter up to 10,000 gallons of water. No, it’s not certified to remove fluoride but it deals with a lot else. Yes, there are fluoride reduction elements but it’s not certain by how much. However, AquaRain ceramic filters are able to eliminate around 99.9% of the three major biological organisms that are typically responsible for causing diseases. They are viruses, bacteria and cysts. 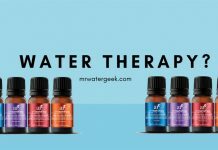 As I’ve said several times, these are all excellent water filters. But the Alexapure gets the job done at a fraction of the cost of the other systems. And to help you run those numbers, below are the current prices on Amazon. 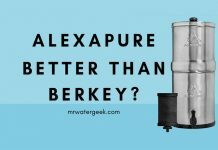 Keep in mind that the Alexapure Pro is nearly always priced to include only ONE filter, the Propur Big is commonly priced with 1 OR 2 filters, and the Big Berkey is usually priced to include TWO filters. Also the Alexapure filters are usually sold separately, while the others are usually sold in pairs. You’ll have to do some of your own homework here and run the numbers. It’s the longest running, has the best reputation, and probably filters water faster than others. However, it requires much more filter changes than the others. 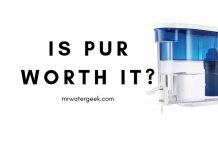 If you do not need or do not want the extra fluoride / arsenic filters, the Alexapure will be highly competitive. The 304 model comes with a lifetime warranty, which is very impressive. 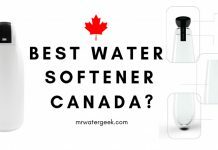 Most expensive water filter on this list. 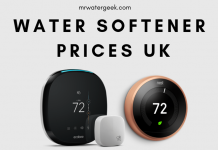 While the long-term costs are still very low, they are much more expensive than a Alexapure at a regular price. 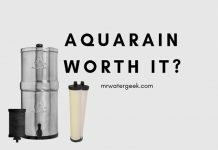 Here are some reasons why it might be worth getting an AquaRain filter. Less need to consume water bottles. 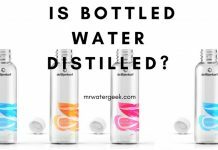 If you are like most people and compulsively buy bottled water. This can cost a lot of money over time and create a lot of landfill waste. 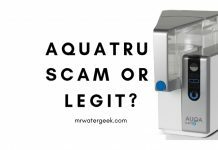 Yes, buying a water filter like AquaRain can cost a little more upfront. 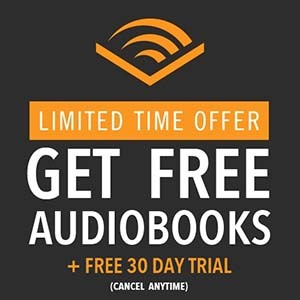 However, it’ll save you money in the long run. Better than basic standard charcoal filters: Charcoal filters. It is very good at dealing with a lot. However, these benefits are vastly compounded when you combine this with multiple levels of filtration. 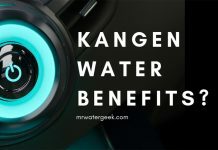 Especially as the Aqua Rain comes with patented ceramic filters that meet the USEPA (United States Environmental Protection Agency) standards for the removal of cysts and bacteria. 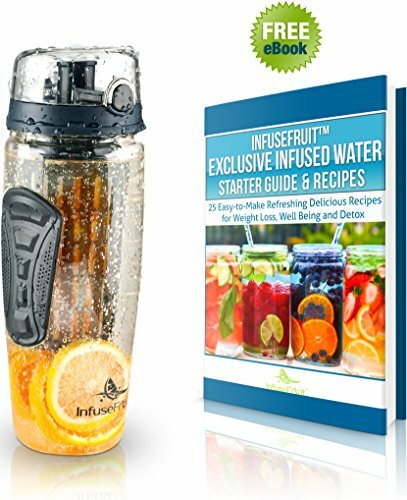 Many people who are interested in moving away from tap water do so because of the taste. 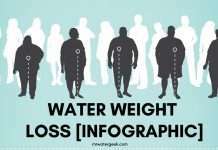 Tap water usually tastes horrible. This is especially the case if your tap water is supplied by a local municipal supplier. However, Aqua Rain filters use both silver and granulated activated carbon (GAC). 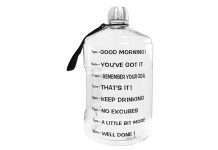 The result of this is that it makes the water taste better. 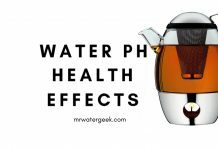 This is important because bad tasting water affects the quality of food and even hot drinks like tea and coffee. One of the biggest concerns of people that rely on tap water is the safety of their water. However, using a high quality filter system like Aqua Rain means you no longer have to worry about contaminated water. AquaRain can remove everything from cysts to bacteria that is present in your drinking water. 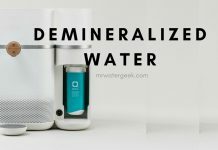 Unlike many water filters for drinking water, this device doesn’t need or use electricity to filter. This means that you can use it for emergencies and it’s very portable. It is therefore ideal for places where electricity is limited. For instance, RV holidays, going for a picnic, in small houses and even while camping. It’s also good for emergency situations outdoors. For instance it can filter raw water from streams, lakes, flood water or well water. 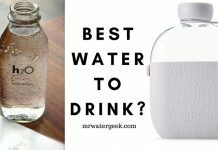 No, I don’t think the AquaRain is the best ceramic water filter. 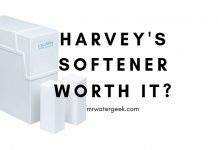 Although it’s a great water filter option, there are many other options that offer similar or better value for money. 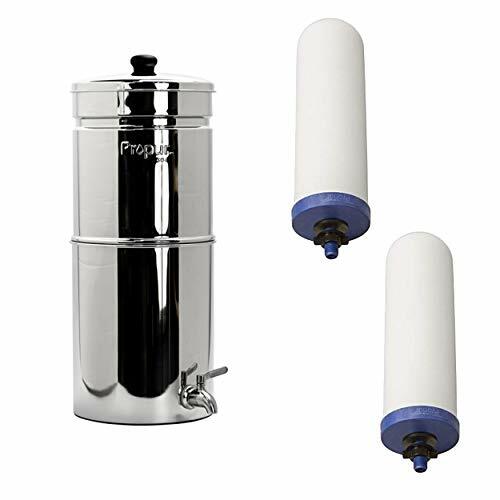 The most popular and best selling gravity water filter is Berkey. Another good option is AquaTru that “promises to turn any type of liquid into water”. Alternatively, brands like Aquasana offer a popular Clean Water Machine. The clean machine is very powerful, works very quickly and has a removable pitcher that can fit on the inside of your fridge. 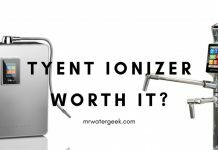 I also recommend the Clean Water Machine because it’s much cheaper and there is also the opportunity to get it even cheaper with coupon code AQGEEK50. Using this code gives you up to 50% off and FREE shipping on select items. 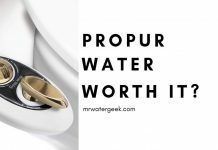 Previous articleProPur Water Filter Review: Is It Better or WORSE Than Berkey? 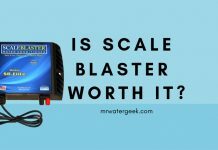 Next articleTop 2 Scale Blaster Reviews – Should You Really Believe The Hype?